‘Australians Helping Australians In Need’ is the philosophy behind MSS Security’s Workplace Giving Program (WGP). Since the WGP’s launched in July 2014, MSS Security and our employees have raised more than $45,000 for each of our four selected charities – The Big Issue, Black Dog Institute, Dementia Australia and the Royal Flying Doctor Service. Our employees have also volunteered at charity events across Australia and learned more about each charity through internal awareness campaigns. WGP provides financial assistance to the four charities through regular employee contributions. Employees contribute pre-tax dollars to an amount of their choosing through automatic payroll deductions. These contributions can be as low as $5 per pay period. Every dollar donated by employees is matched by MSS Security up to a specific annual limit. Agreed donations to one or more of the charities can be changed and employees can opt out at any time. WGP ambassadors used strict guidelines and consulted with the workforce to identify our four charities, whose beneficiaries come from a large cross section of society that many of our 7,400+ employees can relate to. MSS Security, the charities and the people who benefit from the charities’ efforts truly appreciate your support and we look forward to sharing the success of our collective contributions. Dementia Australia (DA) provides support, advocacy, policy, services and research for Australians with dementia. As a high percentage of MSS Security 7,400+ security personnel are nearing retirement age, the WPG Committee decided this demographic would appreciate the challenge that dementia poses for other people like them and their loved ones. Your donations help DA conduct research and deliver strategies and programs to achieve better outcomes for people with dementia and their families, such as the promotion of the Brain Matters campaign in 2015. 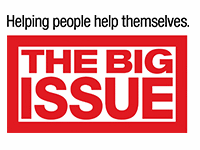 The Big Issue (TBI) is an independent, not-for-profit Australian organisation that helps homeless, marginalised and disadvantaged people positively change their lives by selling The Big Issue magazine. Some of our security officers working at sites in major capital cities regularly come into contact with people fewer options than ourselves. As a result, this charity was chosen to give our employees a way to show their support for those people who are trying to change this paradigm. Since the WPG program began, MSS Security has furthered its support by becoming a Big 100 corporate member and buying The Big Issue subscriptions for all our offices across the country. Your donations help to fund the research of newsworthy content and the production of the magazine that the approved vendors sell on the streets. Statistics show that one in five Australians are affected by mental illness each year; that means as many as 20% or 1,000 of our employees could benefit from the work of the Black Dog Institute (BDI) at any time. Mental illness can be overwhelming, crippling and isolating. BDI is dedicated to supporting and improving the lives of those affected by mental illness, while teaching people to recognise the symptoms in themselves and others. With a strong presence in the healthcare and education market sectors, a number MSS Security’s officers regularly interact with people suffering from, or at risk of developing, a mental illness. Through your donations, we believe BDI will developing greater awareness and maybe even prevention of mental illnesses in the future. 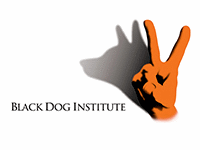 Click here to view the Black Dog Institute ROVER eNewsletter, October 2018. 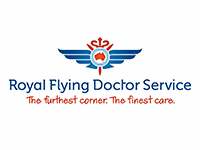 Every day the Royal Flying Doctor Service (RFDS) takes the finest care to Australia’s furthest corners, so that anyone who lives, works or travels in remote and rural Australia can enjoy the best of health. 283,188 – total patient contacts were made through RFDS clinics, aeromedical transports and telehealth consultations. 62,712 – patients in rural and remote areas used its telehealth services. 14,432 – nurse, GP and dental clinics were conducted across Australia. 68 aircraft flew 26,157,502 kilometres. Join Now! Workplace Giving Program Application Form. We value your feedback, click here to contact one of our Ambassadors. For as little as $5 a pay you can make a difference to the lives of Australians in need – that’s around 40¢ a day or one cup of coffee a fortnight.